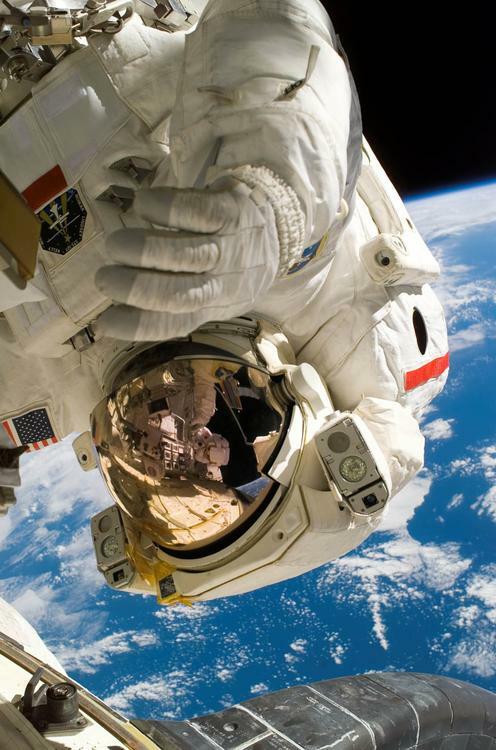 ﻿ Foto Space walk | Abb. 15551. English: Astronaut Piers Sellers during the third spacewalk of STS-121, a demonstration of orbiter heat shield repair techniques. 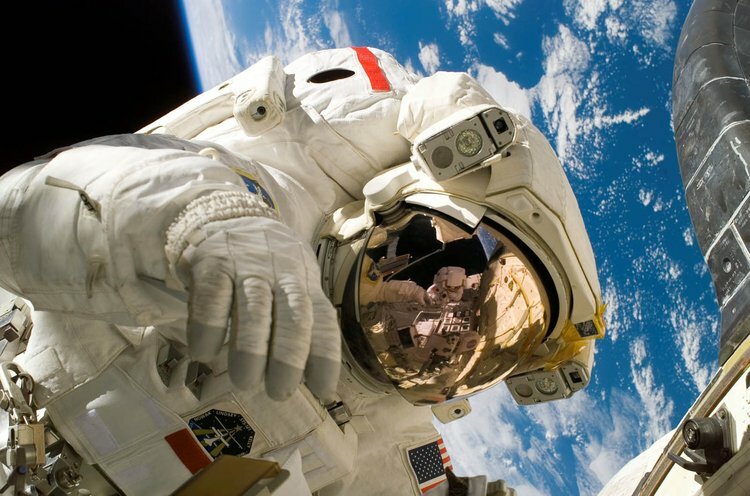 Français : L'astronaute Piers Sellers durant sa troisième sortie dans l'espace au cours du vol STS-121, une démonstration des techniques de réparation du bouclier thermique. This file is in the public domain because it was created by NASA. NASA copyright policy states that "NASA material is not protected by copyright unless noted". (NASA copyright policy page or JPL Image Use Policy).